I don’t usually put up too many posts about other two-person groups. But today I make an exception because, honestly, these guys are fantastic. GIANT ROBOT formed for similar reasons to FUN GRIP. The two guys in it were in other troupes and they kept getting notes about going too weird, instead of sticking with the usual domestic/roommate/ talking head scenes expected of them. I absolutely love the fact they actually called themselves GIANT ROBOT. Great name for them and it has become a sort of motto for FUN GRIP. Brad tells about the upcoming Fun Grip gig in Dallas. What, you ask, is FUN GRIP? 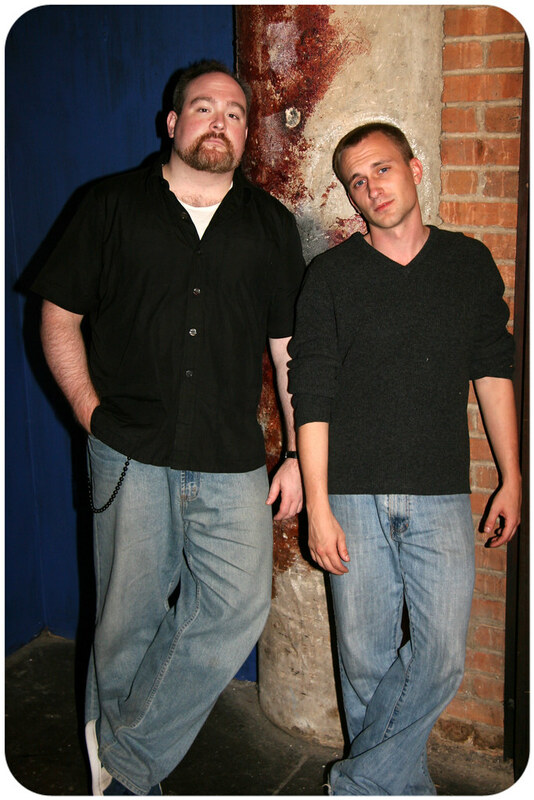 FUN GRIP is a two man improvisational comedy duo. Brad McEntire and Jeff Swearingen have combined their comic might to bring to the stage a joyous, innovative (and sometimes obscene) take on long-form improvisation!